So, we did. 🙂 I had this birch log slice lying around and my husband grabbed his drill bit set from the basement. 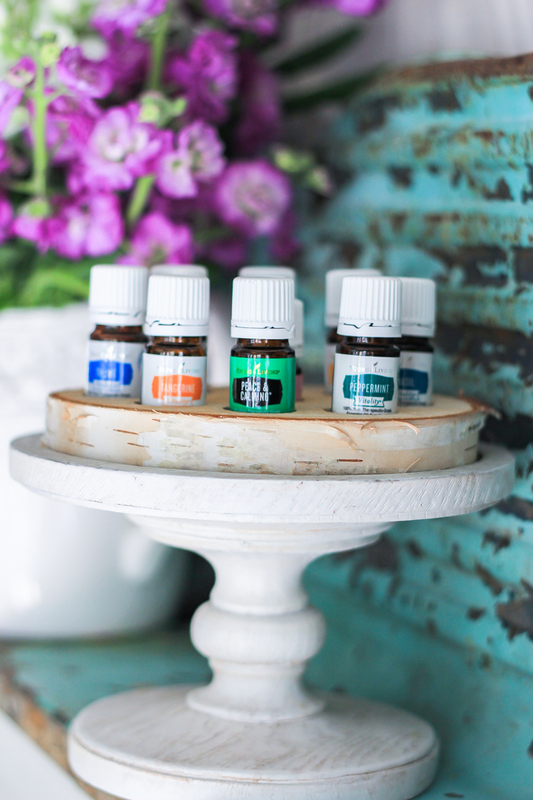 Within about 5 minutes we had a homemade essential oil display that is SUPER cute. 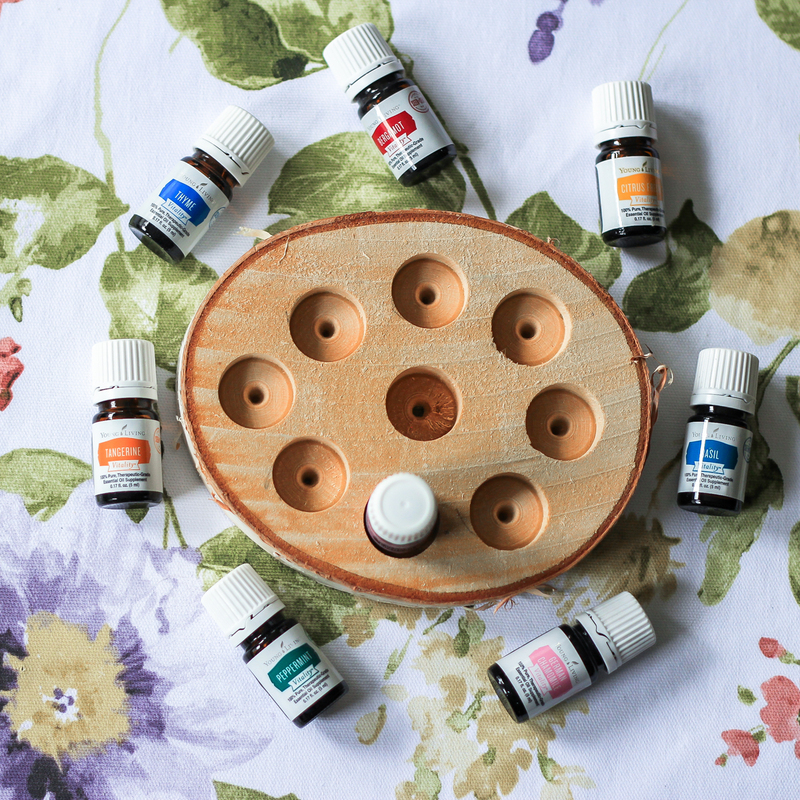 Here’s how you can make one of these for yourself to display your essential oil collection. 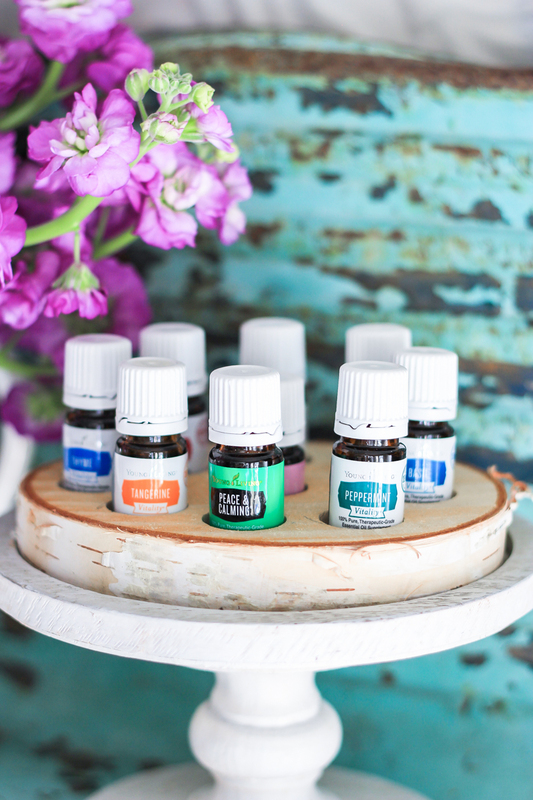 Trace around a 5 ml Young Living bottle to lay out where you are going to drill the holes. 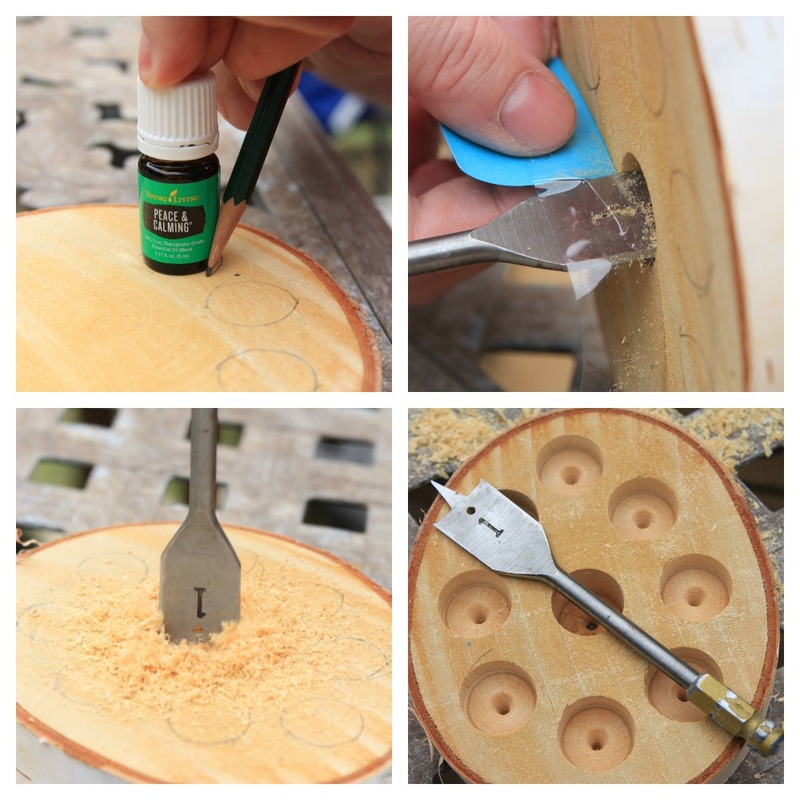 Note: The 1″ spade bit will create a hole that is perfect for the smaller 5 ml bottles. If you want holes to fit a 15 ml bottle, you’ll need a 1-3/8″ or 1-1/4″ spade bit. We didn’t have that size in our stash so the smaller bottles it was for this project. Drill a pilot hole as a test to see how deep you need to drill. When you find a depth that feels right without going all the way through the wood, mark it with a piece of tape and a small piece of paper to indicate when you need to stop on the next holes. 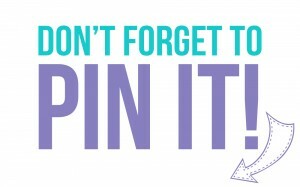 Keep drilling until all your holes are complete! Be sure not to drill on a surface that matters if you accidentally go too deep and drill through the bottom. Also you’ll need to hold the log slice securely with one hand while you drill with another or you could use a clamp if you have one. I obviously used Young Living oils so your sizes may vary if you are using a different brand. Just measure the bottom of the bottle to know what size bit you need. If you are not the DIYing type, then head on over to Wood and Oils etsy shop and buy one of these cool displays for yourself! 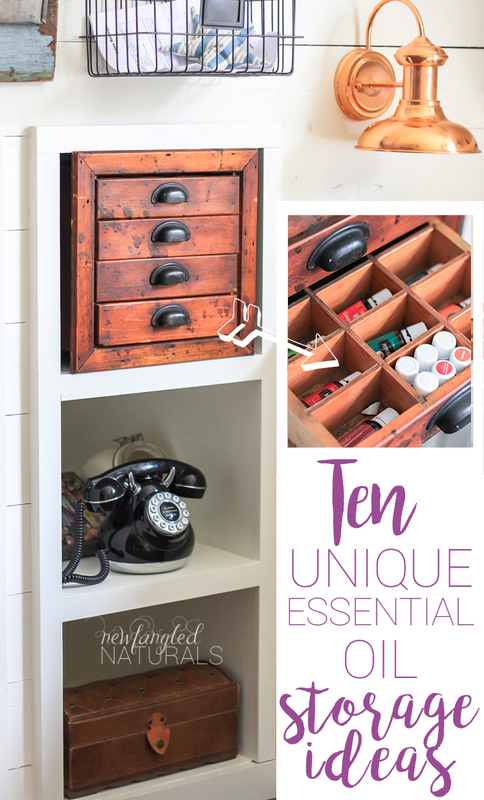 If you want more ideas on how to display your oil collection in your home, head over to my essential oil blog and see 10 unique storage ideas for essential oils!